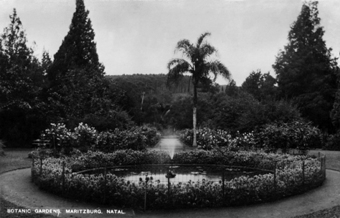 On 3 March 1874, the Pietermaritzburg Botanical Garden was founded. 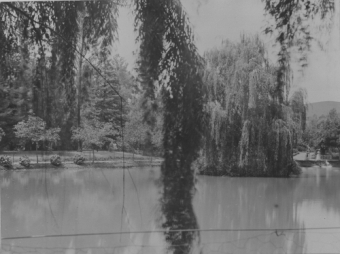 It was run by the newly formed Pietermaritzburg Botanical Society until 1969, when it was taken over by the National Botanic Gardens of South Africa. In 1991, the Botanical Research Institute and the National Botanical Gardens combined to form the National Botanical Institute. The NBI is now the South African National Biodiversity Institute (SANBI) – the present custodians of the Garden. We strive to excel in growing, displaying and conserving living plant collections of the grasslands of the East Coast region of South Africa for horticultural, educational and scientific purposes. 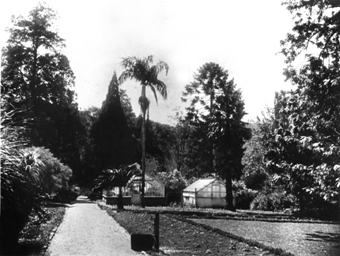 During the early period (1874-1910), the lower part of the Garden was laid out in a geometric pattern and planted with tightly packed specimens of timber trees. The upper part, or hillside, was planted with various conifers. Many thousands of plants (mainly wattle and eucalyptus) were distributed from the Garden. 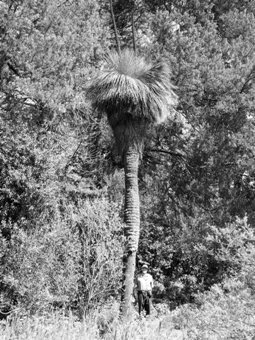 Present-day KwaZulu-Natal probably owes much of its tree heritage to the generosity of the Garden in its early days. Unfortunately this generosity meant that curators of the Garden did not stay long, as salaries were low. Two notable curators were G.W. Mitchell, who was curator from 1889 to 1900, and W.E. Marriot, who planted the now famous avenue of plane trees in 1908. 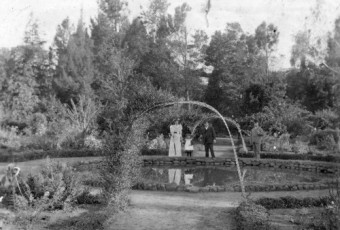 Mitchell connected the 2 halves of the Garden in 1894. This enabled the public to climb the hillside, from where, it was claimed, one had “the best view in southern Africa”. Amongst our more famous visitors was President Kruger, who planted a Camellia japonica in April 1891. From 1892 onwards the Garden provided flowers for exhibition at local flower shows. Azaleas were very popular and grew well in the Garden. Sand and shale were extracted from the Garden and sold. Some of the shale was probably used to cover the paths in the Garden and sand was sold for building purposes. Zwartkop Road and the path linking Church Street to the Garden were very poor dirt tracks and only in 1899 was Zwartkop Road hardened. Transport to the Garden at this time was by rickshaw, but these were expensive at a return price of 3 shillings. In 1906 a tramline was constructed to the Garden, at a more affordable 8 pence for a return journey from the City Hall.